Bird watching, often called birding, is the largest spectator sport in America. The rich and abundant bird life in Graham County arises from the varied climate and topography. Summers are warm and winters are mild. Western North Carolina is positioned in the middle of the migratory route used by a variety of birds, and the high mountains of Graham County attracts the unusual and beautiful Cerulean Warbler. These little birds prefer the high forests and migrate through them each early spring. 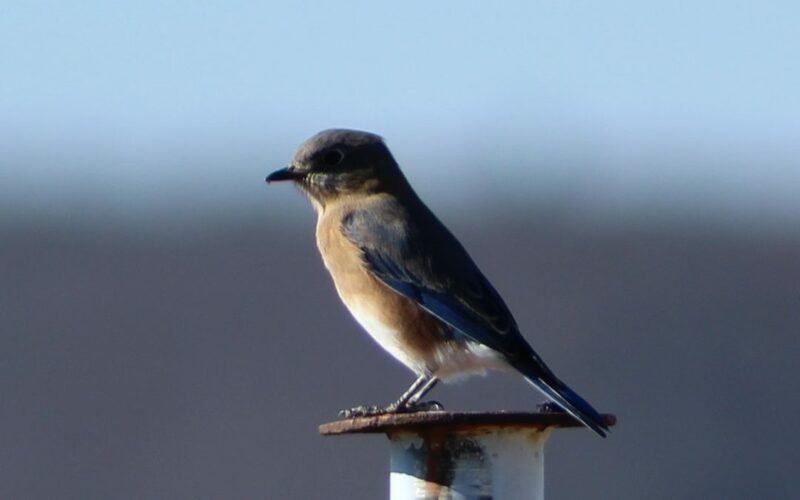 Two useful links for birding in Graham County are; Http://birdventures.com/Stecoah%20Gap%2017) and the North Carolina Birding Trail website; http://ncbirdingtrail.org/. Graham County offers some of the best birding in the Smokies, including Stecoah Gap, The Cherohala Skyway and the Fontana Dam area just to start. Spending three days in Graham County will enable you to explore several outstanding areas and see both migratory and local birds. In Late April and Early May, if you walk along the road, not only will you be treated to beautiful views, and various spring wildflowers, but you will be high enough to see the tops of the trees and look down on Cerulean, Golden-Winged and Cerulean Warblers. After early-morning birdwatching, have a picnic breakfast at the picnic table at Stecoah Gap or drive into Robbinsville for breakfast. You might choose to visit the Stecoah Valley Center Gallery and shop for nature-related gifts, including some wonderful ceramic art based on our birds. Stecoah also offers a wonderful world-renowned art gallery called Bee Glow Studio where you can buy beeswax candles and luminaries. Lunch in Stecoah at the Stecoah Diner and have one of their famous burgers, or head directly over to Fontana for lunch. Stop at the Fontana Village Resort for directions to twenty miles of hiking trails for a lovely afternoon of birdwatching. Oh, and don’t forget to treat yourself to some ice cream at the Fontana Village General Store. Start your day with breakfast in Robbinsville and make sure you have a full tank of gas for the day, then head out to the Snowbird Mountain Lodge or Thunder Mountain General Store to pick up a picnic lunch. Make sure to call the night before to place your order at Snowbird Mountain Lodge. Your first birding stop will be the Joyce Kilmer Memorial Forest. Hike the gorgeous double-loop trail, which covers two miles through some of the last virgin forest in North Carolina. Picnic at the tables along the stream or drive a few miles more towards the Maple Point Observation Deck and stop at one of the picnic tables along the way. After lunch, head out along the Cherohala Skyway. Drive and birdwatch along the way. The Cherohala Skyway is located between Robbinsville and the town of Tellico Plains, TN. There are numerous pull offs along the way to stop and watch for birds like the Broad-Winged Hawk, the Rose-breasted Grosbeak, the high-altitude loving Veery and the Blackburnian Warbler. Enjoy an early dinner in Tellico Plains and then head East, back to Graham County, with the sun setting behind you and the mountains back-lit with glory. Stop and watch the sunset from any of the pullover areas or, even better, plan a 2 mile hike out to the top of Huckleberry Knob. Don’t forget a flashlight for the return hike to your car! Birdwatch at sunrise at the end of the Sunrise Trail at the Snowbird Mountain Lodge. Plan to have breakfast there (reservations are required) and then head out and explore the numerous trails in the area. Many people stay at the lodge for the night to enjoy the migrations of tanagers, grosbeaks and warblers. When you are ready, cut across the road that leads to 129 and the Tapoco Lodge for lunch. Spend the day enjoying the top ten trails at Tapoco, Yellow Creek Falls Trail and the beautiful Cheoah River. Bald Eagles and Osprey are often seen by diners at the lodge as they sit outside at tables along the river front. FOR A HANDY BIRDING CHECKLIST, CLICK HERE.